Take this particularly large garage sale that I stumbled upon this summer. It had only one sign pointing out its location, but then it appeared on the horizon like an oasis in the desert. Here are my favorite scores and DIY transformations from this summer's adventures. 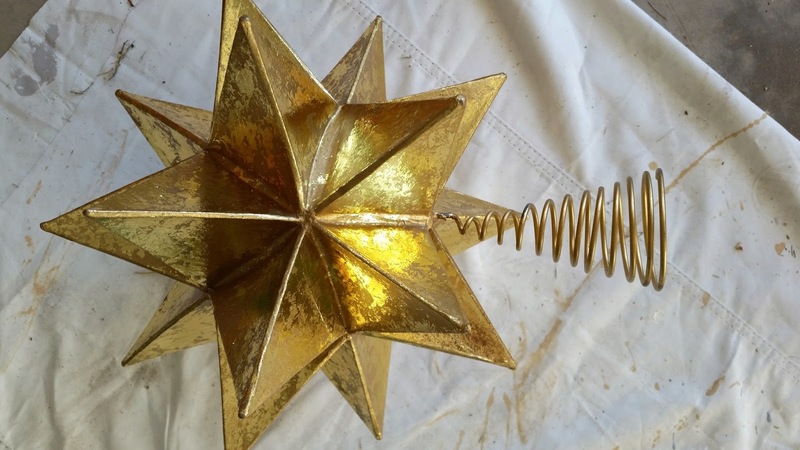 Christmas tree topper turned into a bookshelf decoration: I've noticed that many garage sales are trying to get rid of Christmas decorations -- and that many of these Christmas decorations aren't worth buying. Still, there are exceptions to this rule. Take this tree topper, for instance. I had no need for its present function as a tree topper, but its geometric shape reminded me of decorations I've seen in Home Goods or TJ Maxx. 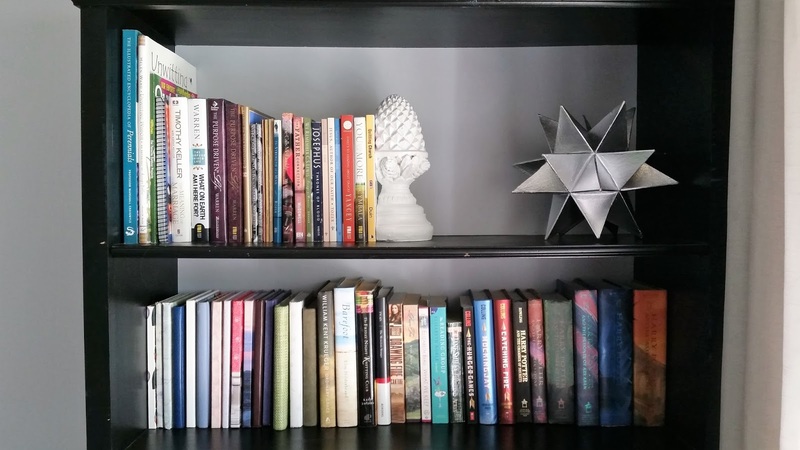 By removing the metal coil and using silver spray paint, I now have a modern bookshelf decoration that cost me only 75 cents. 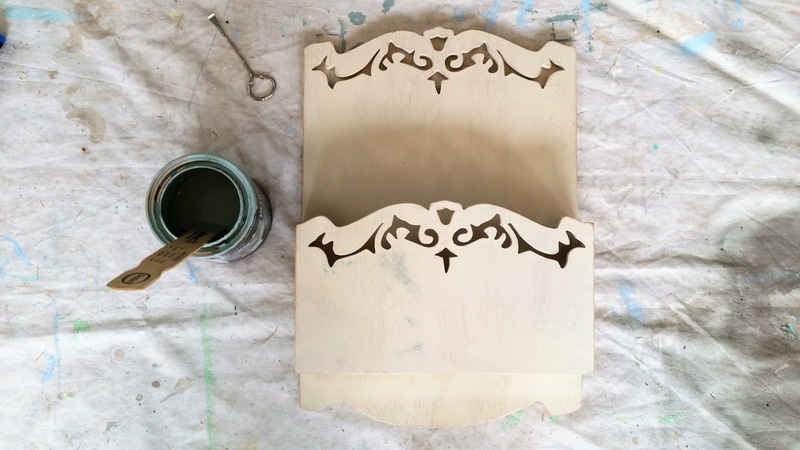 Wooden magazine rack turned into a jewelry organizer: I loved this wooden magazine rack, and I really liked its sensible price of just $1. I knew it could be used for a different purpose in my closet. I updated the rack with a fresh coat of eggshell blue paint, and then I screwed cup hooks into the base in equally-spaced increments. 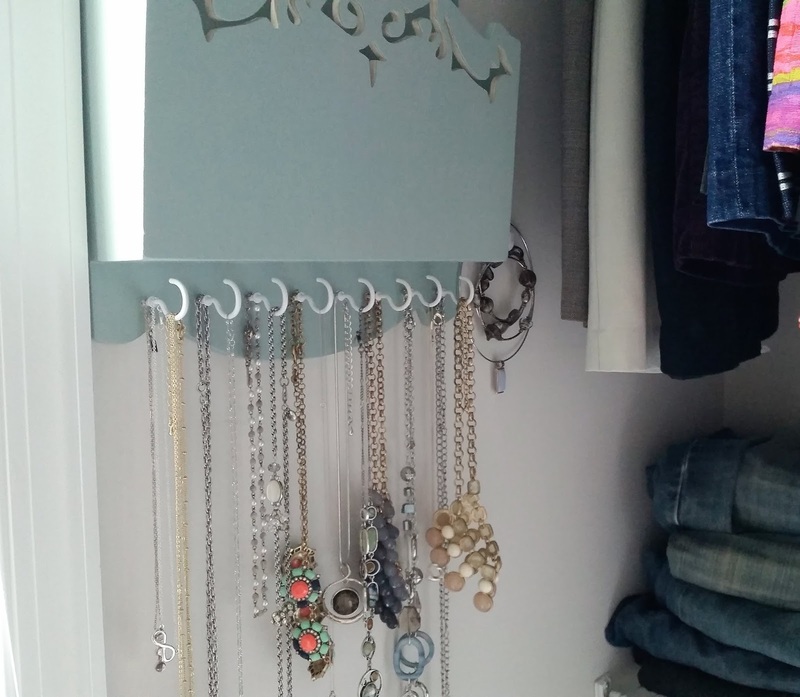 Now the magazine holder displays my necklaces, making it easy to accessorize while I get ready in the morning. 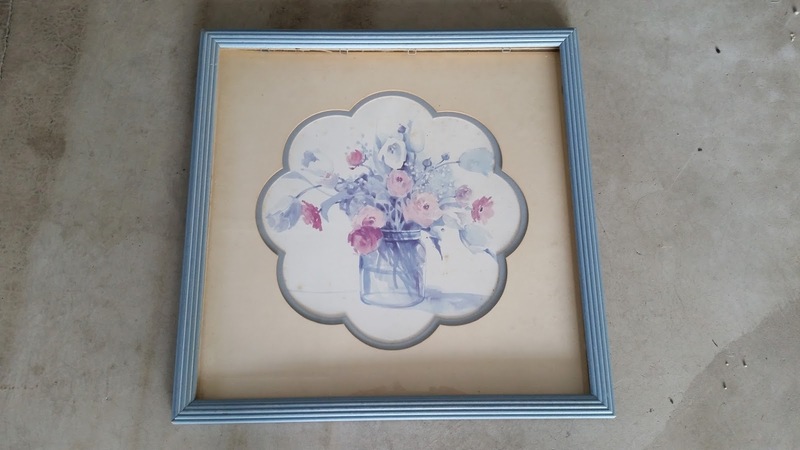 Ugly picture turned into a cute picture: This old floral picture was discarded in the "free pile" at one garage sale. I understand. With its pastel print and dull mat, it wasn't much to look at. Still, the frame was solid, the glass was intact, and the scalloped mat had potential. 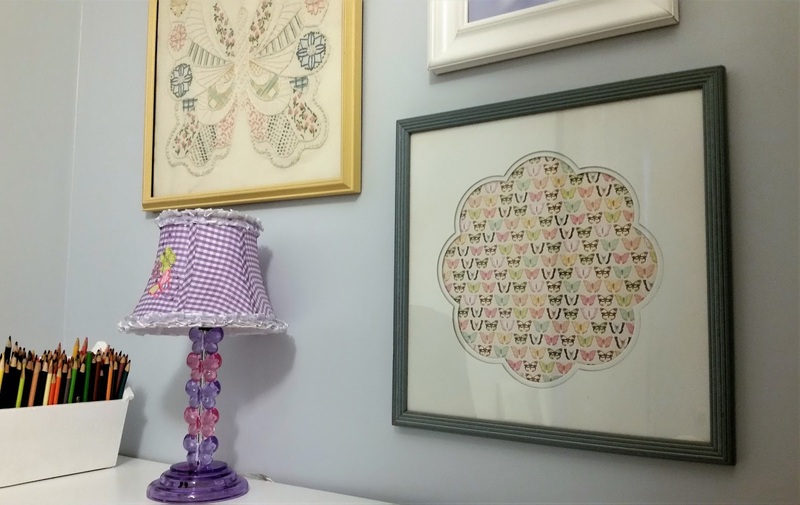 Once I returned home, I wiped down the frame, freshened the picture mat with a coat of white spray paint, and added butterfly-patterned scrapbook paper. The picture now hangs above my youngest daughter's desk. 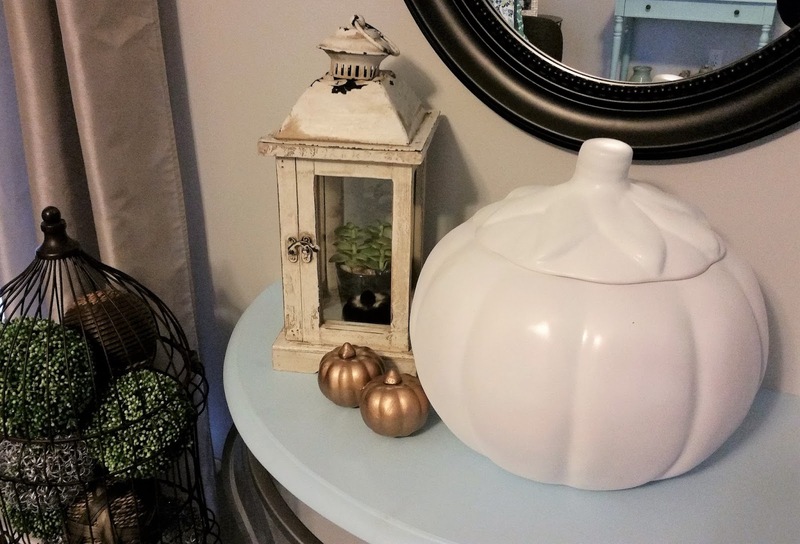 Halloween-specific decoration turned into neutral fall decor: Although I love fall, I've never been a fan of Halloween. I spotted this Pottery Barn Kids ceramic jack-o-lantern for $3, though, and immediately sensed that it could be transformed. 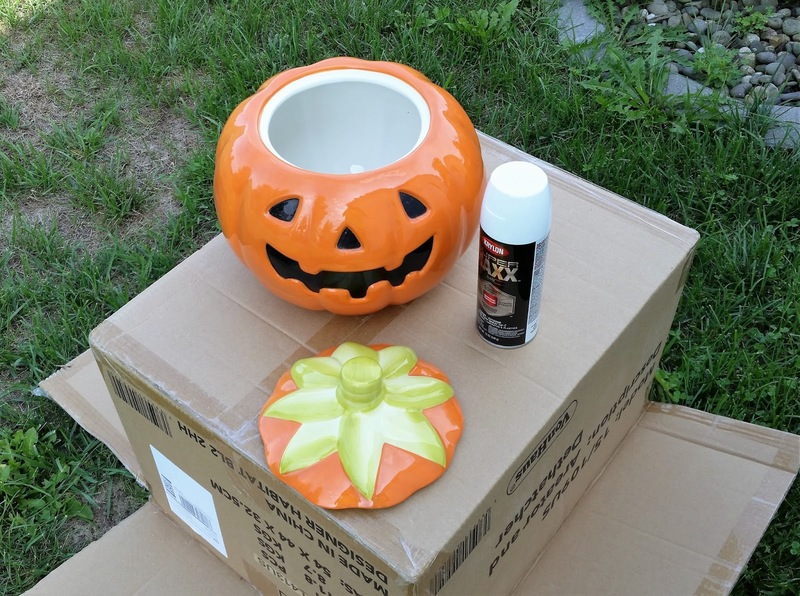 With a few coats of white spray paint (and the jack-o-lantern face turned to the back), nobody knows that this neutral pumpkin decoration used to be designed for Halloween. Outdated tray upgraded to a modern design: When my friend moved to a new house, she gave me this tray. 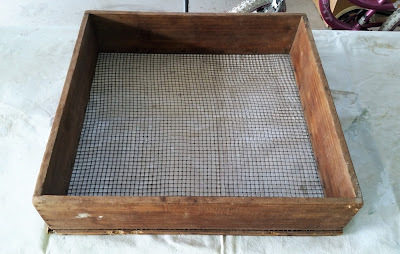 The size was practical, the tray was well made, and the curved handles softened the square lines. 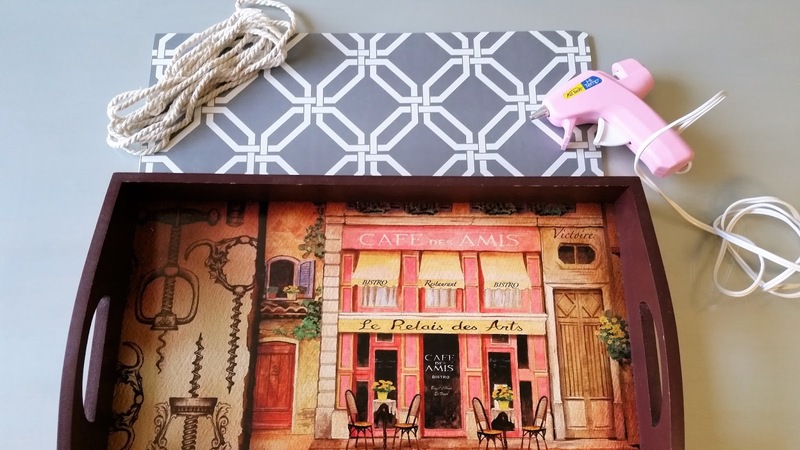 The only drawback was that I didn't love the cafe scene featured on the tray's base. Of course, this proved to be an easy cosmetic fix. 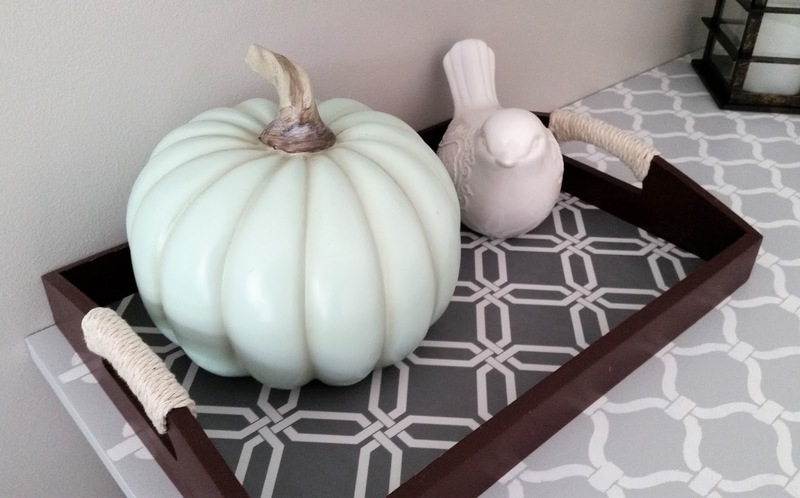 I purchased a gray plastic place mat at the Dollar Store, cut the mat to size, and set it inside the tray. Instant transformation! As an added decorative touch, I also wound jute rope around the handles to accent their curves. Dated picture frame refreshed with a black and white photo: This picture frame was priced at just 50 cents at an end-of-season yard sale. 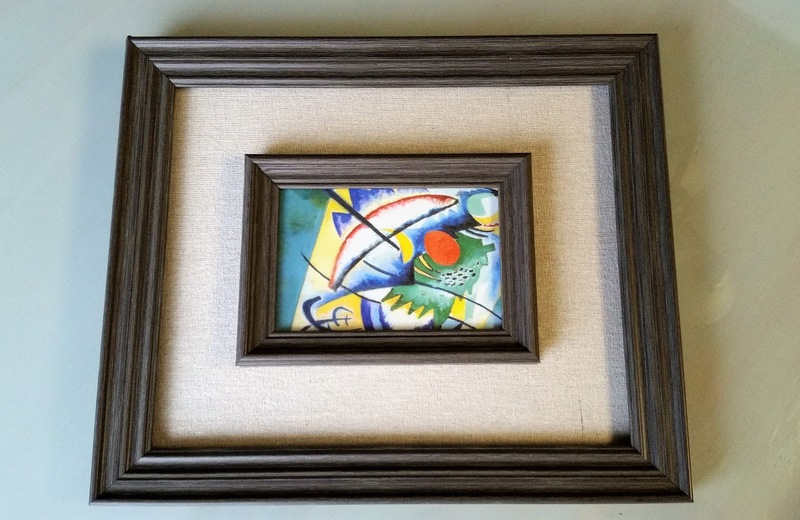 Its artwork -- a primary-colored abstract pattern -- didn't catch my eye, but the frame itself was nice. 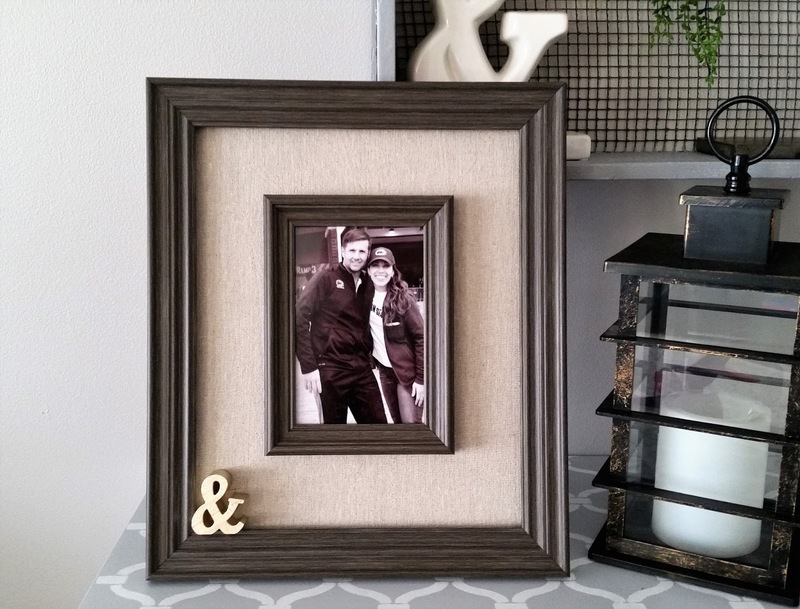 The picture frame looks more mature now that it features a black and white photo -- one of my favorite pictures of my husband and me after a football game. For extra dimension, in the lower left corner I added a decorative ampersand figurine that I found in a clearance bin at Michaels. While a small tweak, the ampersand adds a little extra something and makes me smile. 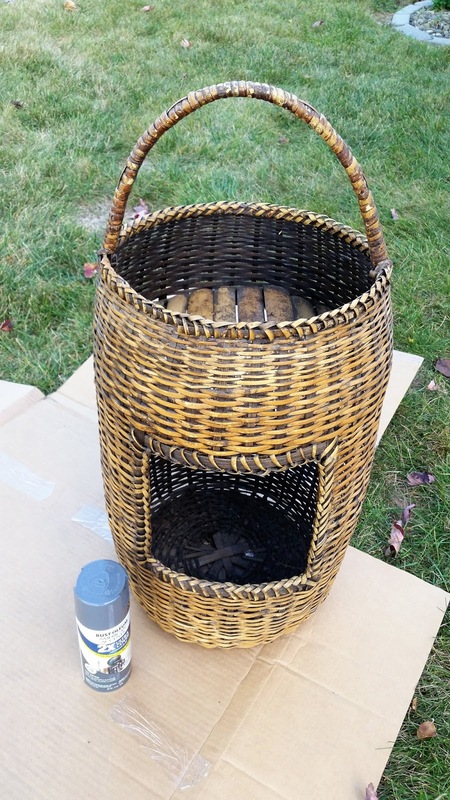 Old Basket Made Over with Spray Paint: When I stopped by this garage sale early one Saturday morning, the woman running the sale had nothing priced. She looked at me and confessed, "I don't know what I'm doing. Do you have any idea how I should price things?" 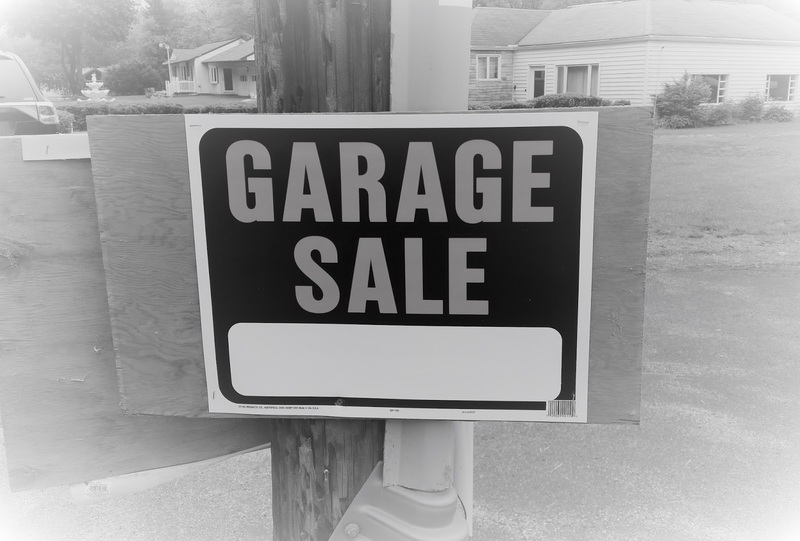 If you've ever held your own garage sale, you know that pricing can be mentally exhausting. So. Many. Decisions! You want items to move, but you also don't want to give them away. Understanding her predicament, I browsed her tables and offered pricing suggestions. 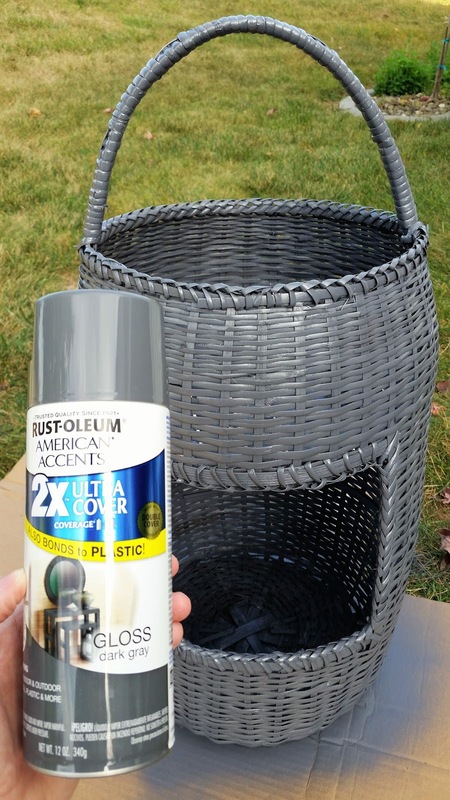 As a token of thanks for my time and help, she gave me this interesting basket free of charge. I've upgraded it with gray spray paint for a cleaner look, and it now holds a potted plant in my bedroom. Random Wooden-and-Wire Box turned Farmhouse Shelf: In what might be my favorite transformation of all, I found this wooden box lying in the grass at one yard sale. I didn't know what it was. The woman selling it didn't know what it was, either. It just looked interesting. 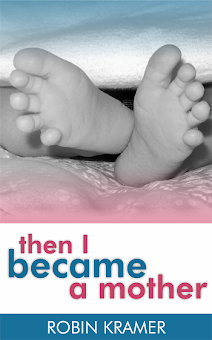 When I asked how much she was asking, she shrugged noncommittally and said, "Make me an offer." I said, "Two dollars?" and the wooden box was mine. I brought the box home and placed it in the back of the garage so my husband wouldn't also ask what it was, because clearly, nobody seemed to have any sense of its purpose. 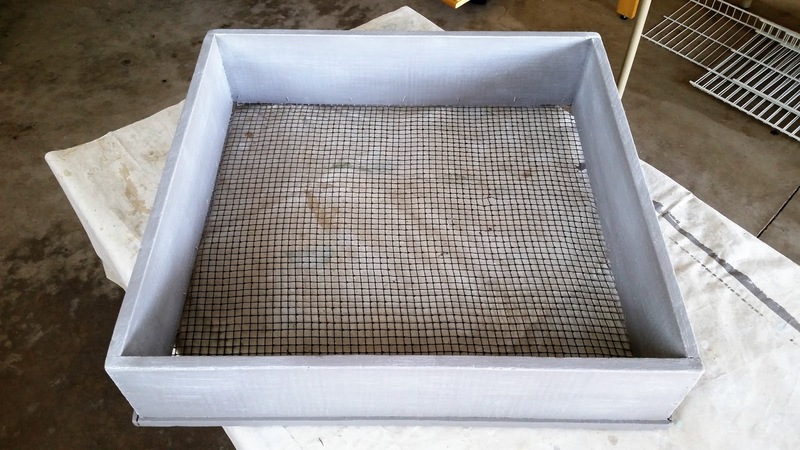 Eventually, I started calling it a sifter, even though I don't know what it would sift. It just seemed right. 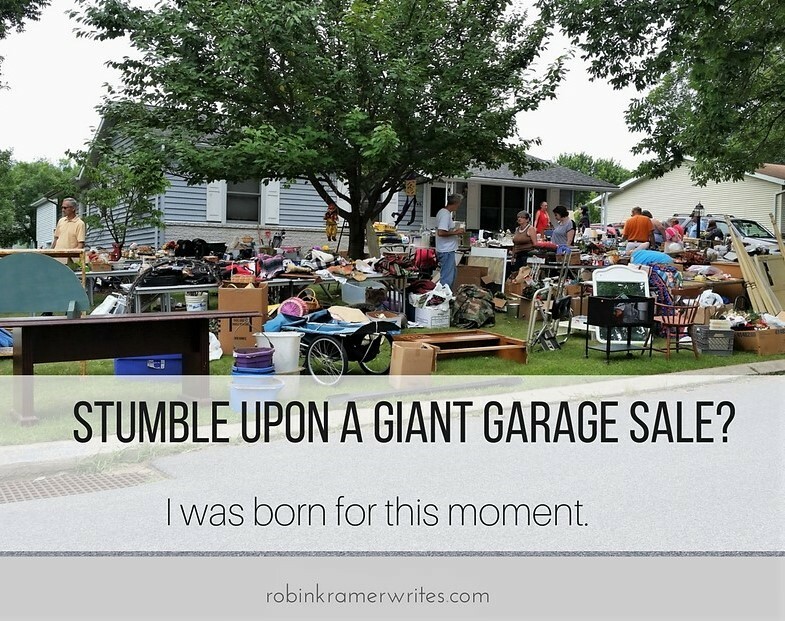 Now that it's fall, garage sale season has come to an end. At the risk of sounding terribly melodramatic, part of my soul has separated from my body. But I cling to the fact that people will hibernate all winter, amassing items for future sales. And soon enough, off in the horizon, those signs will start to appear once more. 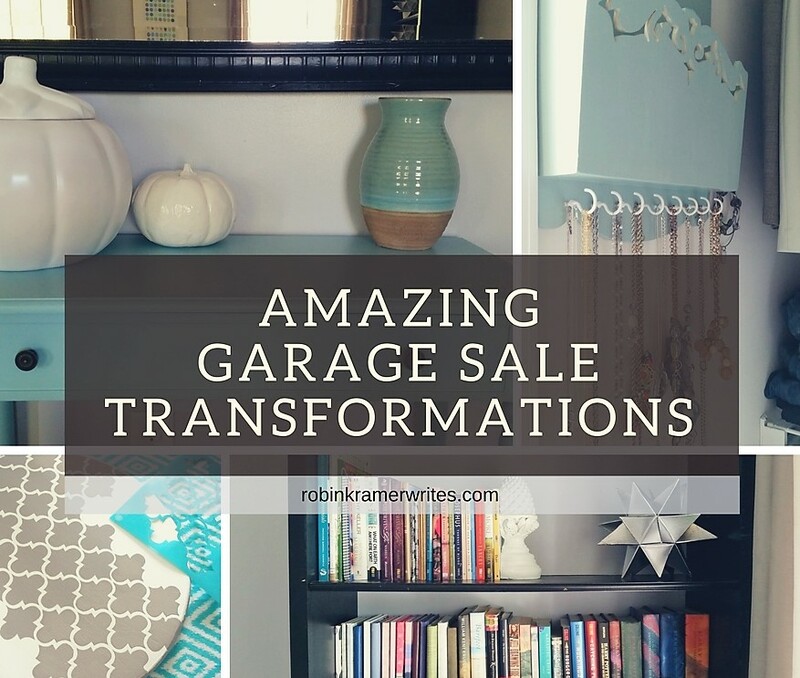 Do you love garage sales? Drop a comment and share your favorite transformation from today's post!